who is now more than a match for her. Adaptation Base is where the wounded are recycled into enhanced warriors, and when a terrorist action takes out the administration, the newest cyborgs will have to take things into their own hands. When Stitch comes to, her position as an assessment officer is still valid, but her new location on the front lines means a lot of adjustment. The men she had designed from the wounds out are now her team, and finding the one who had flirted his way into her heart—after all this time—leaves her vulnerable to his mechanical advantage. “Assessment Officer Carter, please move your toes.” Stitch didn’t recognize the voice, but it didn’t matter. She twitched her toes for him. He was wearing black military garb and had a series of scanners at his disposal. The med scanners were battlefield issue, and Stitch had a very good idea of where she was. “I am at Alpha Base.” She looked around and saw rows of beds, half filled. The captain pushed a button to raise her up into a sitting position. He handed her the flat screen, and she extended it out of the two cylinders. Her stats were displayed, and her new silver hand moved as easily as her flesh one while flicking through the information. She had died twice, her system had gone septic and additional nanites had been injected to give her enough to be compatible with the adaptations, as well as bolster her immune system. Her broken spine had been fixed and the impulses from her body rerouted around the damage. Major organs had been replaced with the newest and most organic implants available. She had been held in hibernation while they had built the parts. She had been out of commission for two years. “What happened to the others?” She looked up at the captain. “We sealed the Earth. A defense net of weaponized satellites was launched three months ago. It has repelled one Splice attack, but now, they are gathering in numbers. It won’t be long before they crack through.” He grimaced. He stayed near her while she moved her heavy legs to hang over the edge. It was difficult, but once her body knew what she wanted, it cooperated. She waited until she could swing her legs to her heartbeat, and when she was ready, she stood. A writer who crafts a story that catches you up, whirls you around and sets you down with a smile on your face is all she endeavours to be. She prefers to leave the drama to those who are better suited to it, she always goes for the cheap laugh. Listening to readers has gotten her this far, and with her 300th short story behind her she will continue to listen in the future. Welcome to Magehaven Cove, where most of the town are witches, wizards, or some other supernatural being. 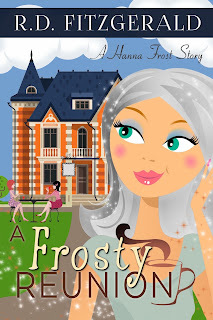 Hanna Frost always wanted to be like everyone she knew… magical. But born without a single spark of power, Hanna stands out as the odd duck among her family, and not in a good way. 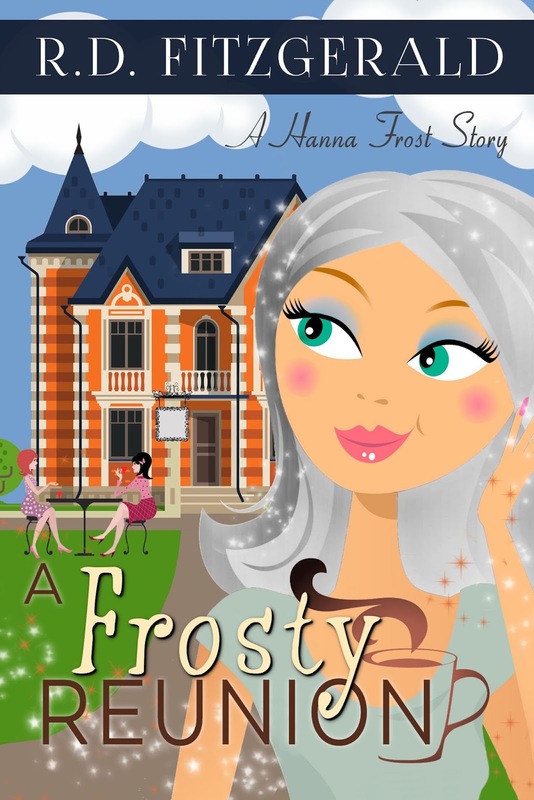 When Hanna grew up, she left the magical town to embrace normalcy, and she stayed away even after her husband died. Still grieving, she spends her days at home immersed in her painting and drawing, with only an oddly devoted pixie for a companion. At her mother’s insistence, Hanna attends a family reunion, only to find herself embroiled in family politics, a death, a group of attractive would-be suitors, and the secrets of a mystical mansion. With magic, mischief, and murder all around her, Hanna will have to quickly figure out who killed her aunt—if she wants to avoid being the murderer’s next victim. Due for release on 1st May 2016. Bloggers/Reviewers sign up here to get involved. Signal Boost will be hosting a release party for RJ Scott's upcoming release Kissing Alex - Bodyguards Inc.#6 on Saturday 30th April from 19.00-21.00 GMT over on FaceBook, you can find it here. 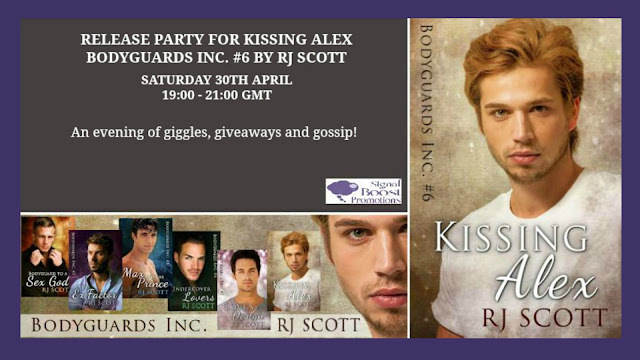 Hi and welcome to Signal Boost Promotions where we'll be offering PR and Promo services to romance authors from blog tours to Facebook events. To sign up for our newsletter please click the button to right. We are currently taking bookings for future tours, please email signalboostpr@gmail.com for further information. Our prices and services can be found under the Services menu item above.